Wind is one of the most destructive elements that can impair your roof. Many people, however, don’t pay attention to wind-related damage, especially when the roofing problem is invisible from the ground. YES Contracting Services, a new roof installation company, discusses how high winds can undermine your roof’s health. Wind uplift is the tendency of roofing materials to be lifted into a wind-created vacuum. This may be due to loss of laminar flow, which is the air flowing near a surface. Bends or curves on the surface, however, prevent the air from maintaining close contact. The air then separates from the surface, creating a vacuum that can lift the roofing material. Apart from the loss of laminar flow, increased wind speed can also result in uplift. Reduced air pressure from the fast-moving air just above the surface of the roof drives the amount of uplift up. Get in touch with your local residential roofing contractor to help detect wind uplift damage to your roof. Wind blowing perpendicular to the eaves and ridges causes roof uplift, affecting the upwind side of the lower slope and the downwind side of the ridge. When the wind flows parallel to the eaves and ridges, upwind rakes become susceptible to damage. How are shingles dislodged from the roof? Wind blowing at the side of your home that is deflected up and over the low-slope section creates a strong uplift. This loosens the asphalt shingles and underlayment from the roof structure. 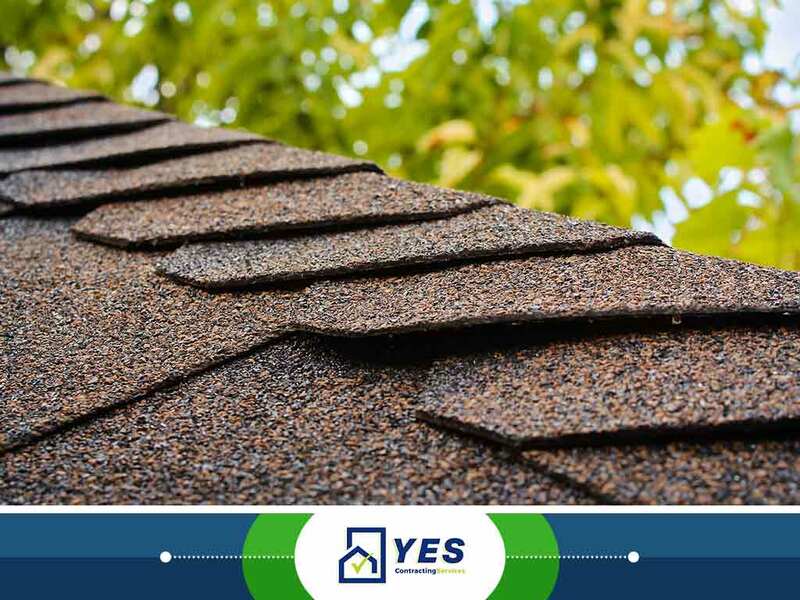 Count on YES Contracting Services for your commercial and residential roof replacement to help protect your home from weather-related damage. Call us today at (423) 702-4000 or fill out our online form for a free estimate. We serve residents of Kingsport, TN, and other nearby locations.